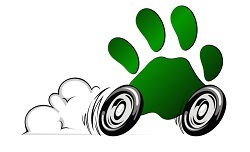 Paws on Wheels is a new car review platform from the pet owner perspective brought to you by Bumper2Bumpertv, an established car review blog and TV channel with over twenty years of experience, and Petopia, an online web platform and resource guide for pet owners. 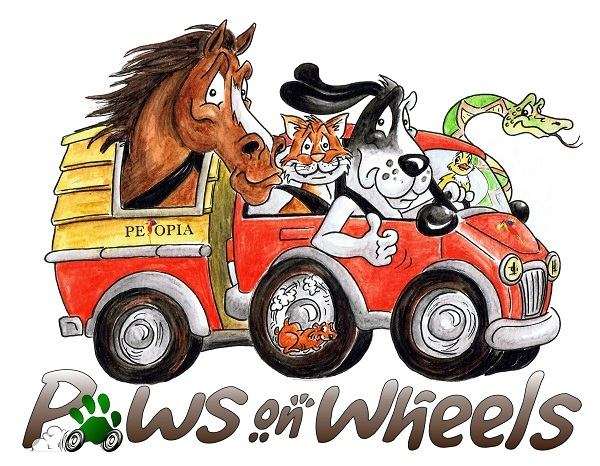 As pet owners and pet enthusiasts, the founders of Paws on Wheels understand the challenges of buying a car suitable for you, your family, other passengers, pets, and luggage. We have established five categories that will help ease your decision and the information provided will answer those questions that you may not have initially considered. What size dog can fit into the back seat or cargo space? Will I be able to fit both my cat carrier and dog in the car together without being seated next to each other? Will I be able to tow my horse trailer? Each review also includes a video that provides you with the complete overview of the car features, performance, design, and more! In this review, Paws on Wheels presents the 2017 Jeep Renegade 4x4. The Renegade has 41.2” of legroom in the front and 35.1” inches in the rear which is enough to put small pet carriers on the floor in both cases. The cargo height is 28.5” from the ground which may require a step ladder or ramp to make access easier for small or elderly dogs. The SUV comes with two sun roofs, one automatic and one manual, which increases the ventilation on hot days and allows you to enjoy the feel of fresh air. The SUV is designed to comfortably seat 5 passengers. When all seats are in place the cargo space is 18 cubic feet, and with the rear seats folded down, the cargo capacity increases to 50.8 cubic feet. The standard cloth low back bucket seats are resistant to tears and scratches, but it may be difficult to clean mud stains or remove pet hair. The 4x4 SUV shifts easily and handles well off-road on uneven surfaces. The SUV is equipped with a 2.4L Tigershark four cylinder engine; 180 HP; 175 lb-ft and has a towing capacity of 2000 lbs. The fuel performance is respectable considering it’s a 4x4 and obtains 24 mpg for city and highway driving combined. The perfect paws on wheels rating is 25 out of 25. Overall the 2017 Jeep Renegade received a score of 23/25 which results in a 5 Paw-Friendly rating. 1. With a pet friendly design, good amount of space, and increased ventilation via dual sunroofs, we deducted 0 Paws from the Design & Pet Accessibility Features category. 2. Cargo space can comfortably accommodate small to large size pets and still leave room for luggage and equipment. Therefore 0 Paws were deducted from the Pet Cabin Capacity category. 3. Cloth low bucket seats come standard on this model, and while they may be resistant to tears and scratches, the fabric can be difficult to clean. Therefore we deducted 1 Paw from the Hair/ Stain Removal, & Scratch Resistance category. 4. When driven off road the Renegade performed well on uneven surfaces thanks to the select terrain system and is equipped with the latest safety technological features. Therefore 0 Paws were deducted from the Handling & Safety Features category. 5. The towing capacity is good however the fuel performance is considered adequate, and could be improved. Therefore 1 Paw was deducted from the Performance & Towing Capabilities category.